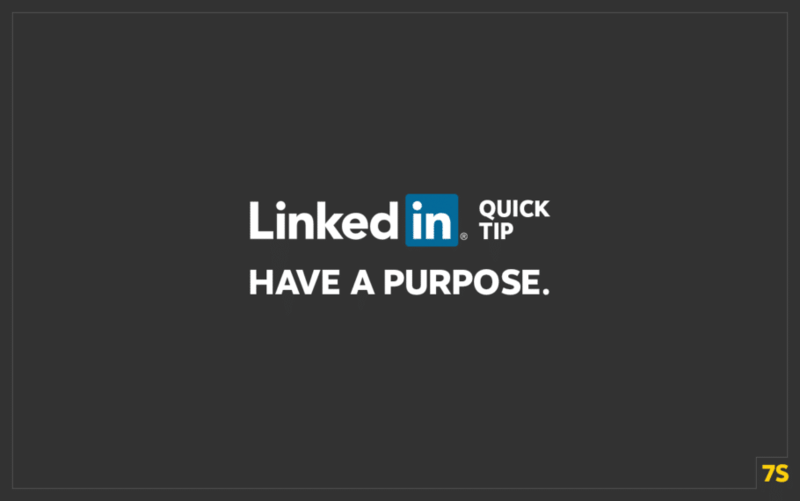 Once you have a purpose, you can optimize your profile to match your objective. You’ll connect with people who are relevant to your vision. You’ll create content that appeals to the audience you want to influence. But if you’re not sure why you’re on LinkedIn? You’ll fill out your profile however LinkedIn guides you (which isn’t much at all), you’ll connect with anyone who connects with you or who seems interesting, and you’ll post content that is more like a stream of consciousness than an intentional content marketing plan. Read Start With Why by Simon Sinek. Read The One Thing by Gary Keller and Jay Papasan. Write out your vision of the future. Identify 10 dreams that need to happen for your vision to become reality. For your #1 Dream, create a #1 Goal that will move that dream towards reality. Create sub-goals or steps for your #1 Goal. Look at your LinkedIn profile. Look at your content. Is it in alignment with your vision, dreams, goals, and priority? If not, make changes.